I tell of your humble servant and I guess everyone who came that rainy August evening to Dom Kino Theatre in Moscow can tell this of himself too. 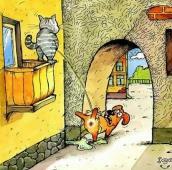 Ladies were lucky as well. Even the look at the stage before the show promised a lot of pleasures: numerous guitars, grand piano (not adjusted for spinning though), impressive set of keyboards, Theremin and the monster - famous Modular Moog! With the first sounds of ''Karn Evil 9'' and familiar words ''Welcome back, my friends...'' it became clear - this is THAT band! 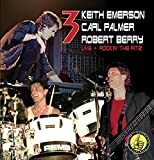 I had no chance to attend ELP concert, but what I saw and heard from KEITH EMERSON BAND was far better than I could imagine. 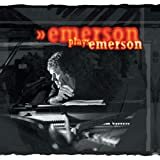 Small venue (about 1 000 seats), perfect sound, Mr. Emerson himself and the band, playing with power and passion. Marc Bonilla, being before this gig a ''dark horse'' for me, appeared to be a fine guitarist and singer. His solos, always tasteful, but never 'overplaying' Maestro, added new colours to familiar tunes (the version of ''Lucky Man'' is a good example). Marc has higher voice than Greg Lake, but it suits well to ELP music. It seemed Marc and Keith understand each other without words and listening to the interplay between their instruments is a real enjoyment. 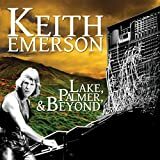 Songs from new (then, in August 2008, unreleased) album ''Keith Emerson Band featuring Marc Bonilla'' left a good impression even in comparison with ELP classics, and made me wish to listen to the whole work as soon as it will be possible. 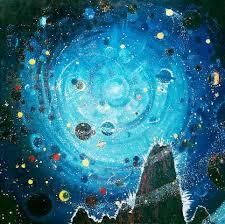 But the biggest surprise was extended, 36-minute long, version of ''Tarkus''. With improvisations, keyboards-guitar duells, Theremin sounds and drum solo it is the culmination of the show that, unfortunately, sooner or later, ends. It's a pity, pieces like ''Hoedown'', ''From the Beginning'' and ''Fanfare for the Common Man'', performed that night, were not included in this DVD. But even without them two hours of sparkling, enthusiastically played music, well filmed and recorded, make this release an excellent addition to any prog collection. Honestly, it's better than many ELP live records. 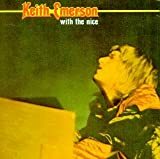 Give to the 60 years old Keith Emerson, some young arms, let him play his keyboards like he can and you will have a great evening of ELP music with new songs from his Kieth Emerson Band, which are quiet good and fits very well with the ELP's material. 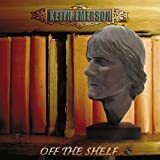 The role play by Marc Bonilla on guitar and vocals give a heavier sound to the usual ELP's sound. The songs of ELP have been re-arranged and that is quiet refreshing, the songs have more speed and more power with Bonilla's guitar work. The set list doesn't have any dull moments, even "Lucky Man" is rocking!. And what a way to finish the concert with a 30 minutes of "Tarkus", that contains some improvisations. The sound is clear and powerful in 5.1 surround, a lot better than the ELP 40th anniversary DVD. 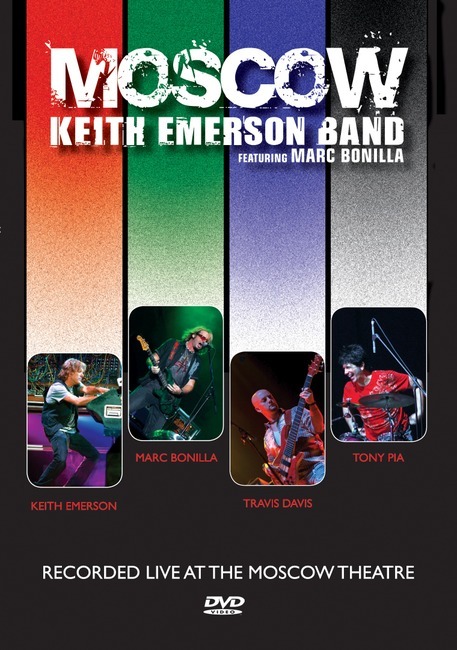 Post a review of KEITH EMERSON "Keith Emerson Band Featuring Marc Bonilla - Moscow"